Maryland Landlord Self-Help Eviction Legal Kit - Sayonara Bad Tenants! 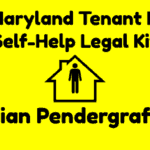 The Maryland Landlord Self-Help Eviction Legal Kit is a kit designed for Maryland landlords that cannot afford attorneys. The e-book contains plain language explanations of landlord-tenant laws and strategies that I have used in my practice to evict bad tenants. The Maryland law folder contains printable PDFs of many common landlord tenant laws. The sample pleading folder contains sample completed complaints for the most common complaints to evict tenants. Lastly, the sample oral argument folder contains sample oral arguments for merits hearings. 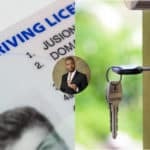 This legal kit seeks to eliminate the problem by sharing the tactics that I have used to represent landlords in landlord-tenant court to evict many tenants. 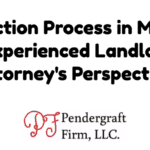 Many landlords cannot afford attorneys and this kit is designed to help landlords help themselves. Nevertheless, it is not a substitute for legal advice. Do not hesitate to contact me if you need advice specific to your situation. The first part of the Maryland Landlord Eviction Kit is the Maryland Landlord Eviction Strategy E-book. 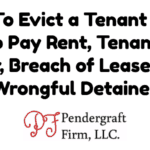 The e-book contains plain language explanations of Maryland landlord-tenant law that is commonly relied upon in court and the strategies that I use to evict tenants and receive the best money judgments possible. I have used these strategies to evict many tenants. This folder section contains printable Maryland landlord-tenant laws that are referenced in the strategies section. When relying on laws to make arguments it is a good idea to have printed versions of the in hand. I used to take judges’ knowledge of the law for granted. 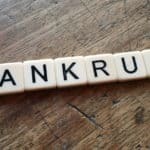 “This Judge is in landlord-tenant court way more often than I am, it’s his job, I thought to myself.” However, that Judge once delayed a case of mine because we disagreed on a point of law and I did not have the law with me. From that point on I made sure to print out the law that supports my position. Judges can be wrong. The files in the Maryland Landlord Self-Help Eviction Legal Kit are mostly PDF. The rental history ledger is in Microsoft Excel format. You can use a free application such as adobe reader than can open the PDFs. Ready to better understand your rights and how to assert them? Click the button below.